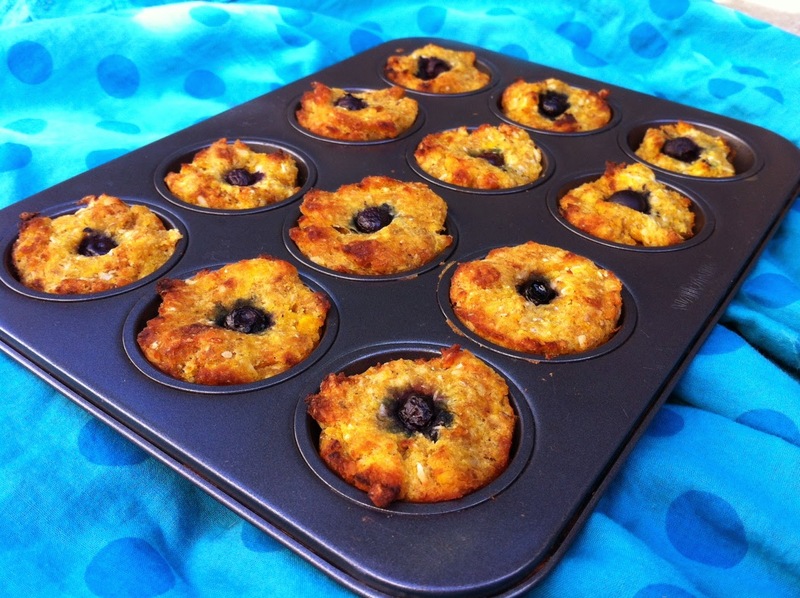 These golden blueberry muffins are perfectly nourishing, while being free from dairy, eggs, nuts, soy, sugar and gluten. They make a gorgeous snack for people with allergies, but can also be enjoyed by anyone wanting a deliciously healthy sweet treat. The secret ingredient is pumpkin puree. It gives these muffins their golden colour and moistness. A hint of spice and blueberries to top, make these morsels the perfect autumn fare. Thank you to the Coconut Oil Shop and Natvia for providing ingredients for my test kitchen. 2. Mix ground chia seeds with water and place in the fridge for a few minutes to thicken. This mixture will act as an egg replacer in this recipe, and is equivalent to four eggs. 3. Mix the chia seed mixture with all the other ingredients, except the blueberries. Combine thoroughly. 4. Spoon mixture into three mini muffin pans (or one and a half large muffin pans lined with silicon cupcake patties) and press down to fill the cup holes. The mixture should be thick and maleable. 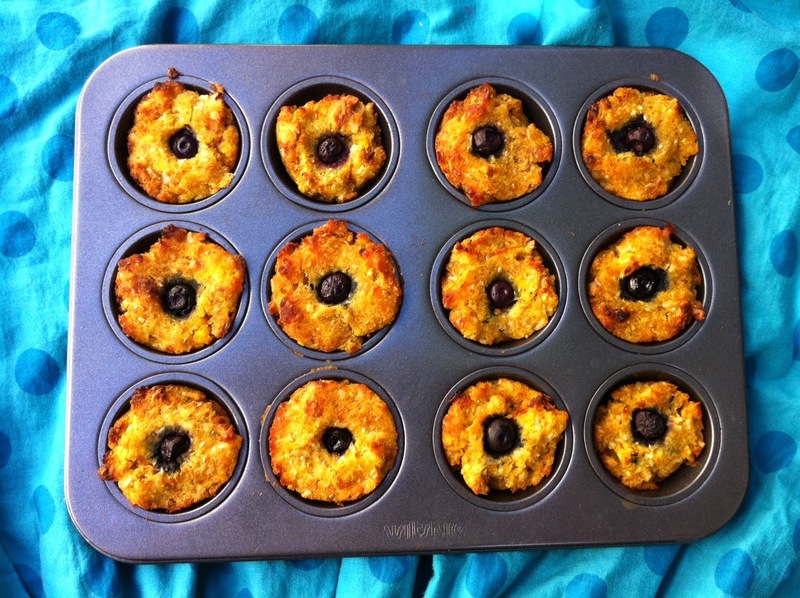 It won't rise overly much so you can fill the muffin tin cups to the top. 5. Press a blueberry into the centre of each mini muffin, or press several blueberries into the top of larger muffins. 6. Bake at 180°C / 350°F for 15 minutes if making mini muffins, or 25 minutes if making large muffins. Perfect just as they are. No accompaniment necessary. Yay. Let me know how they go. 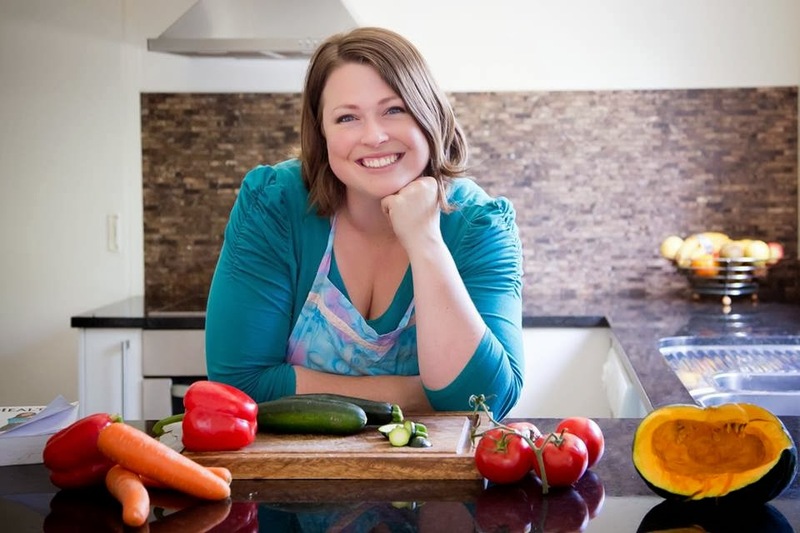 I'm always interested to hear if my recipes work as well for other people as they do for us.